CaberDek, part of the CaberBoard brand®, is an 18 or 22mm thickness T&G flooring panel offering increased protection from the elements. 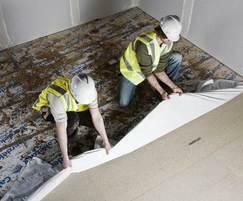 CaberDek combines P5 particleboard flooring with a tough, waterproof and slip-resistant film. 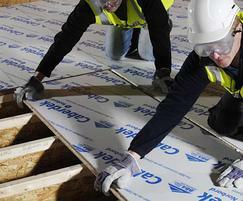 The product is ideal to fix with the Caberfix Pro kit - containing Joint & Joist adhesive, T&G PVA and Caberfix tape - for a silent, non-squeaky floor. 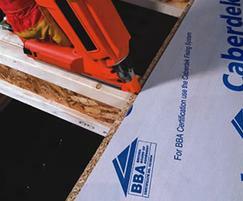 CaberDek is based upon Caberfloor P5 which complies with BS EN312: part 5. 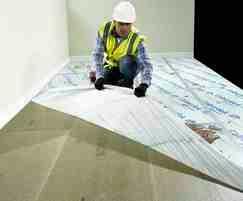 Creates a safe working platform thanks to a waterproof, slip-resistant film that allows other building work to continue safely. 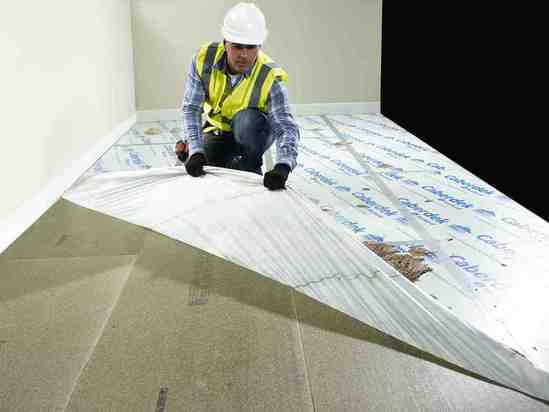 When laid in accordance with fitting instructions, and with Caberfix Pro, the floor is designed to withstand the elements for up to 42 days between laying the floor and fixing the roof. 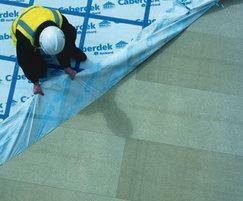 The CaberDek film is easy to peel, and has a sealed wax protective surface, leaving a clean floor surface.